Home / Hispanic – Southwestern U.S. Southwestern Hispanic Americans are people identifying or identified as Hispanic or Latino/a sampled in the American Southwest. As of 2010, Hispanics accounted for 16.3% of the U.S. population, or around 50.5 million people. The projected Hispanic population of the United States for July 1, 2050 is 132.8 million people, or 30.2% of the nation’s total projected population on that date. 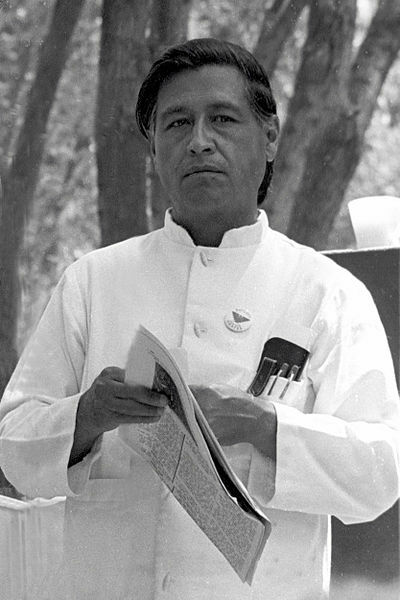 American activist Cesar Chavez was born in Yuma, Arizona. The Hispanic – Southwestern U.S. population data represent a broad group of DNA samples from the American Southwest (Southwestern United States). The sample population of 105 Hispanic (Hispanic and Latino Americans) individuals also is part of the FBI’s DNA database. These samples were provided by the University of North Texas Health Science Center, in Fort Worth, TX. Source publication: Population Data on the Thirteen CODIS Core Short Tandem Repeat Loci in African Americans, U.S. Caucasians, Hispanics, Bahamians, Jamaicans, and Trinidadians, JFS, 1999, 44, 1277-1286.